As a matter of fact that is our family motto, “to end of the world.” Jessica and I have been there several times on this journey. 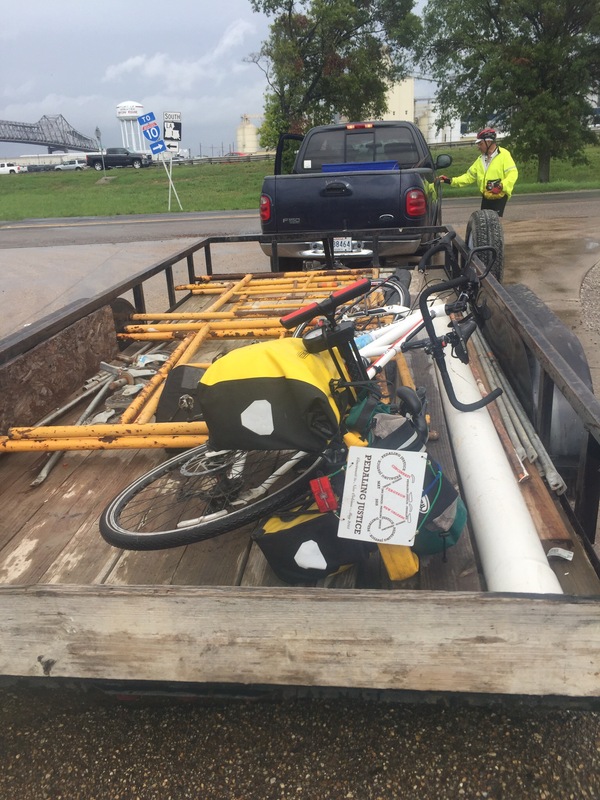 Today we ate Cliff Bars for breakfast and escaped from our moldy “sportsman’s motel” early, pedaling to New Roads on beautiful LA 1. After lunch on the river we started south but had to stop several times for thunderstorms. 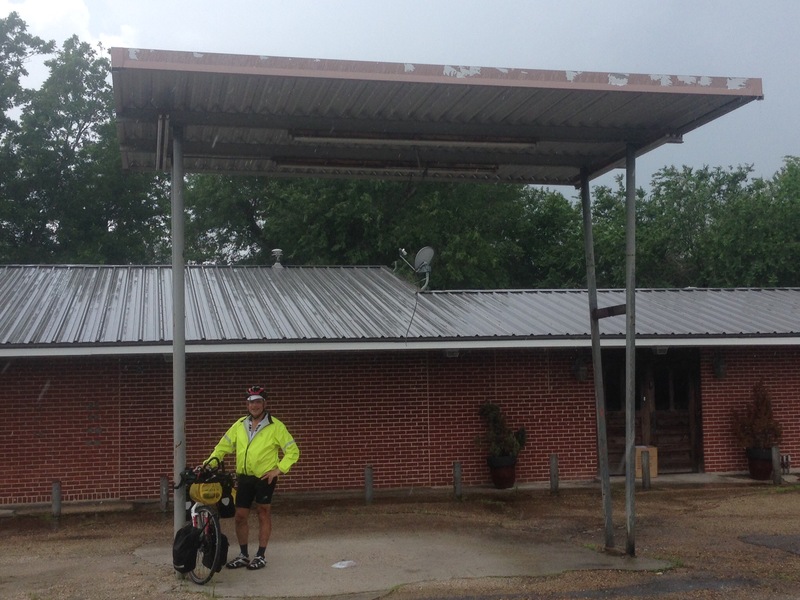 We finally reached Port Allen and wound through some back roads because LA 1 became a roaring highway. Lots of refineries and chemical plants and levees and a few dead end roads. Google was having a bad day. Then the storms returned with high winds. After consulting several patrons at a gas station we decided we need only stay on LA 1 for 2 miles and there would be sanity after that. So with the winds slacking we set off. The first thing I noticed was a gap in the road surface parallel to our direction of travel that was wide enough to catch our tires and toss us over if we slipped into it. Yikes! After a terrorizing wade across the traffic entering Interstate 10 (while minding the gap) we pedaled south only to realize that 1 itself became a narrow high speed bridge with no berm. The road was rising into a ramp and becoming a bridge. Absolutely impassable. We were trapped. 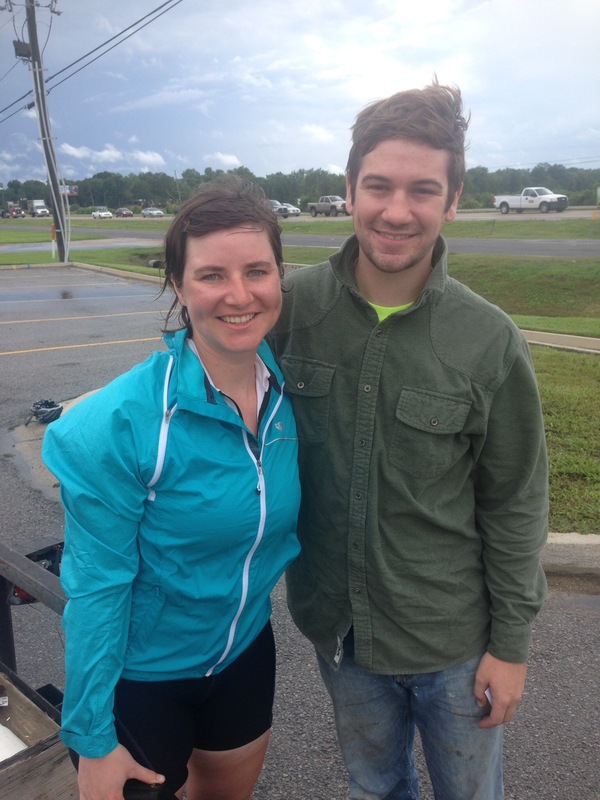 We guided the bike across a median strip and we were stuck on an entrance ramp. Not helpful. Then Alex drove out of a scrap yard with his trailer. We waived Alex down. Told him our plight and soon our tandem was resting in his trailer and we were riding happily along in his pick up crossing that unbikeable bridge. Saved. We like visiting the end of the world. Good stuff often happens there.